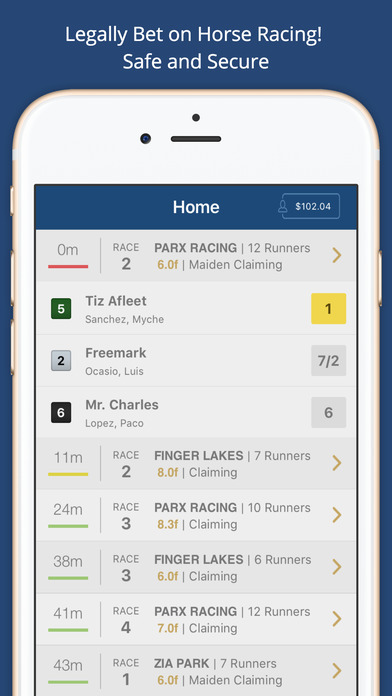 The mobile application of this US horse betting site has many different options to wager on the go. It's a flexible solution to any kind of smartphone, tablet and even book readers. The mobile platform has an integration of all important options and betting features. 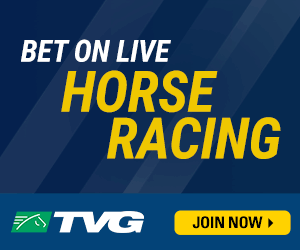 It's eligible for all states where TVG is legitimate to accept online wagering. There is no doubt it's a good tool for all US tracks and world races. TVG has found the right solution immediately and the company launched an optimized mobile version with instant betting mode which doesn't not require to install unapproved software on your smartphone, tablet, Chromebook or other ultrabooks powered by Android. You can bookmark the mobile address and get instant access from your screen like any other app, but it will use your mobile browser (Chrome, Opera, Firefox, Dolphin, etc) to open the site. Again, it's available 24/7 and it works with all US mobile carriers like Verizon, T-Mobile, AT&T, Sprint, Virgin and others. The mobile app for iOS devices is published on iTunes. There are two different versions – one for all iPhone devices (4,5,6,7) and one for iPad (Air, Pro, Mini, etc). Both apps are 100% free to download, add-free versions that you can install in few seconds. The download size is about 30MB which is pretty small space required by such powerful software. However, it requires to have at least iOS 7.0 to use all features. 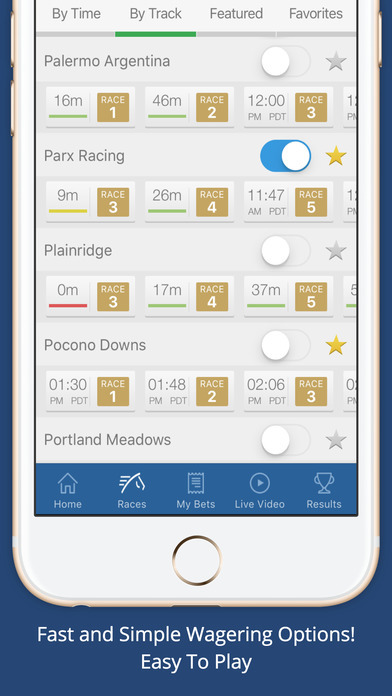 You can use it bet & watch, get free picks, enjoy all handicapping tools, participate in all promotions and bet on all races like Del Mar Thoroughbred Club, Santa Anita Park, Gulfstream Park, Saratoga Racecourse, Keeneland Race Course, Monmouth Park, Belmont Park, Arlington Park. Keep in mind that there is a separate app for residents of New Jersey. It has the same features and betting options, but it meets the requirements particularly for NJ. The instant play version is a great alternative for owners of Android, Blackberry, Windows Mobile, Linux and all mobile devices (even iPhone & iPad). It's made for players who don't want to install an app and those without App Store account. The mobile site is compatible with absolutely all possible devices. 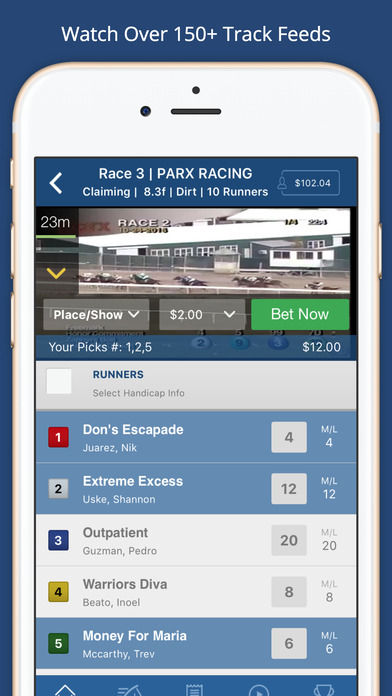 You can use the race alerts along with instant safe and secure deposits & withdrawals. The average time to load the app is 0.1-0.3 seconds. Which is extremely fast, but the speed may vary depending on your mobile data or wi-fi connection. Once you visit the website from your mobile, you will be redirected to the mobile compatible version. Sometimes, it may require to be logged to see all features, but the registration process is very easy, so it won't take more than 1 minute. All available payment methods are included in the mobile version. This means you can use VISA, MasterCard, PayPal, PayNearMe, BetCash and all others. Please, be aware that you can this app only if you live in one these states: Arizona, Arkansas, California, Colorado, Connecticut, Delaware, Florida, Idaho, Illinois, Iowa, Kentucky, Louisiana, Maryland, Massachusetts, Michigan, Montana, New Hampshire, New Jersey, New Mexico, New York, North Dakota, Ohio, Oregon, Pennsylvania, Rhode Island, South Dakota, Tennessee, Vermont, Virginia, Washington, West Virginia and Wyoming. 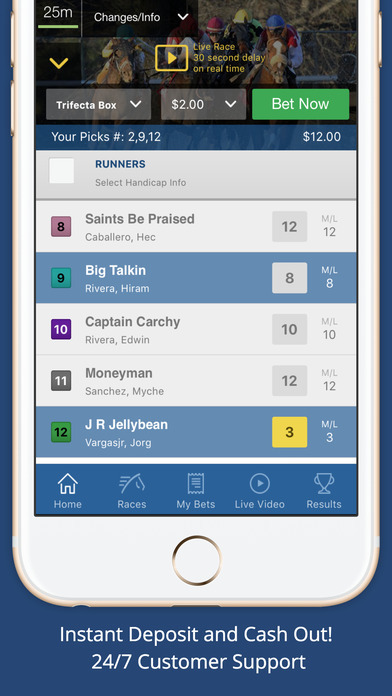 The mobile app of TVG is real piece of art and you download it or use it instantly. Whatever is your change, this mobile betting site is made to be the best solution for horse racing bets via any mobile. 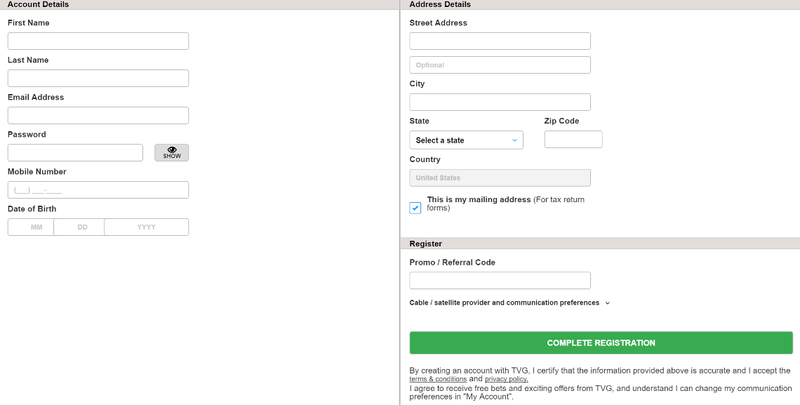 Please, keep in mind that the welcome bonus of $100 requires to use promo code WIN.